Grand Canyon has been a national park for a century—but we’re still learning its many secrets. 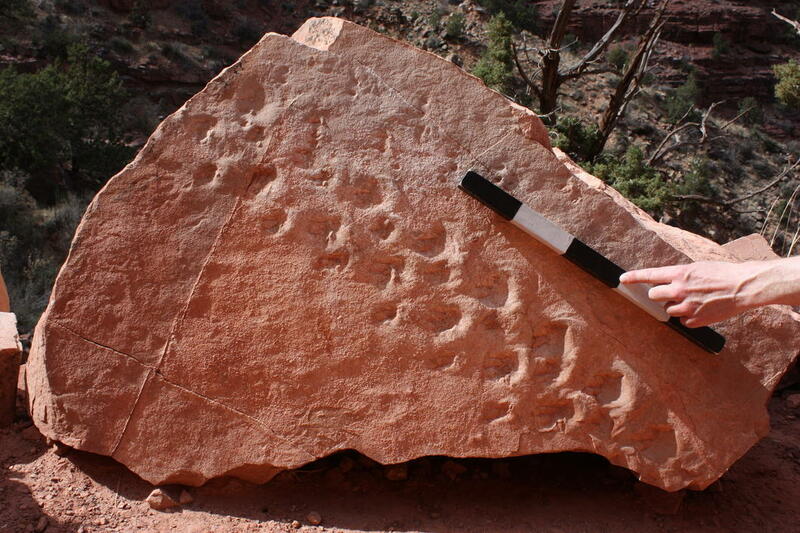 Recently, a rock fall revealed the oldest fossilized tracks ever recorded in the Canyon. They’re the footprints of a reptilian creature that walked through wet sand 310 million years ago. Reptiles had just begun to evolve, and the Grand Canyon itself was long in the future. The continents were beginning to merge into one giant landmass called Pangea. The tracks were preserved in sediments of the Supai Group, sandstone not normally known to contain fossils. When a boulder fell on the Bright Angel Trail and split open, hikers noticed 28 indentations on it. Steve Rowland, paleontologist at the University of Nevada-Las Vegas, realized the creature that made the tracks had a strange dancing gait—toes pointed forward, but path staggered sideways. He speculates a young alligator-like animal, not quite two feet long from nose to tail, was walking through sand dunes at the edge of a shallow sea. It slipped on the steep dunes, leaving tracks with a slant. Or it may have been fighting against a strong wind. Or perhaps two creatures were walking side-by-side in a mating ritual or aggressive display. Rowland says fossilized bones and teeth can indicate what ancient animals looked like. But trace evidence, like tracks and burrows, shows how animals behaved. These reptile tracks, among the earliest on Earth, give a glimpse of the deep past. And more discoveries may be waiting in the Grand Canyon. Rowland and others were to gather this month to conduct a paleo-inventory for the park’s 100th anniversary. In backyards and vacant lots, urban farming is on the rise in towns and cities across the Colorado Plateau. Vertically stacked growing shelves, closely spaced plantings, and covered beds are helping farms fit in where space is often restricted. Adventurer artists Richard Kern and Edward Kern left Philadelphia to accompany expeditions to the Southwest in the mid 1800s. What they left behind were some of the earliest, and most important, images of New Mexico and Arizona. Healthy streams perform essential work, soaking up energy from floods and melting snowpack. But sometimes we’ve made deliberate or unintentional changes to streams that hamper their ability to fulfill their natural functions.  On the Mogollon Rim in central Arizona a “tunnel to nowhere” is punched deep into solid rock—all that’s left of an ambitious scheme to build a railroad from the ponderosa pine forests in the north to the copper mines in the south. This year a Prescott-based group marks three decades of work protecting some of Arizona’s last best places. On its 30th anniversary, the Central Arizona Land Trust is on the cusp of saving even more open space, ranchland, and streamside habitat.